In Wired’s GeekDad column, you can learn about geeky measurements, introduced with the tale of MIT’s legendary Smoot marks. 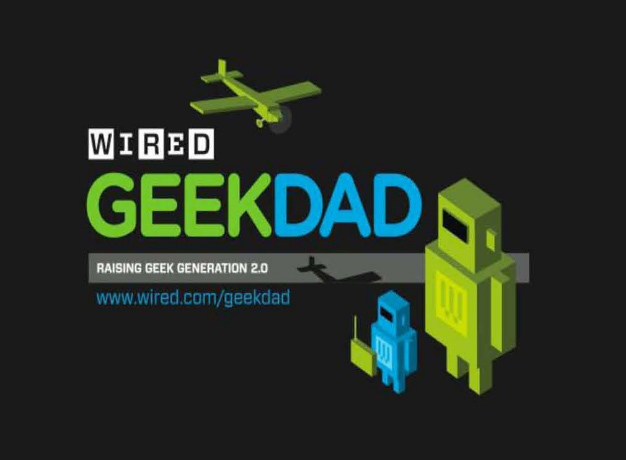 11 Ways Geeks Measure the World includes milliwheatons, a sum of 500 Twitter fans based on Star Trek Next Generation actor Wil Wheaton’s burgeoning Twitter fanscape. Don’t miss Warhols (fame duration), Hyneman (mustache density), and more. To those who don’t look under the hood of web sites, Drupal may be a foreign concept. In fact, this open source content management system (CMS) is sweeping the web landscape because of its flexibility, fast evolution, and focus on growing a community of users. In fact, MIT’s Information Services and Technology (IS&T) group and a growing number of other MIT departments are choosing Drupal as their CMS of choice. In a fall talk hosted by Sustainability at MIT, Drupal founder Dries Buytaert relates a synopsis of his life with Drupal. From its inception during Buytaert’s typical geek undergraduate days in Antwerp in 1999, to the upcoming release of Drupal 7, Buytaert places a particular emphasis on the community that has been created by the nature of an open source product. Drupal is “software to build websites with” intended for anyone to modify and improve then redistribute to its users. “Drupal is a ‘Do-ocracy’, meaning the stuff that gets into Drupal 7 is the stuff that people like you actually worked on,” says Buytaert. Watch the MIT World video of Buytaert’s talk….you might wind up at the next Drupalcon—April in San Francisco. Tom Imrich, left, will testpilot a new Boeing aircraft. 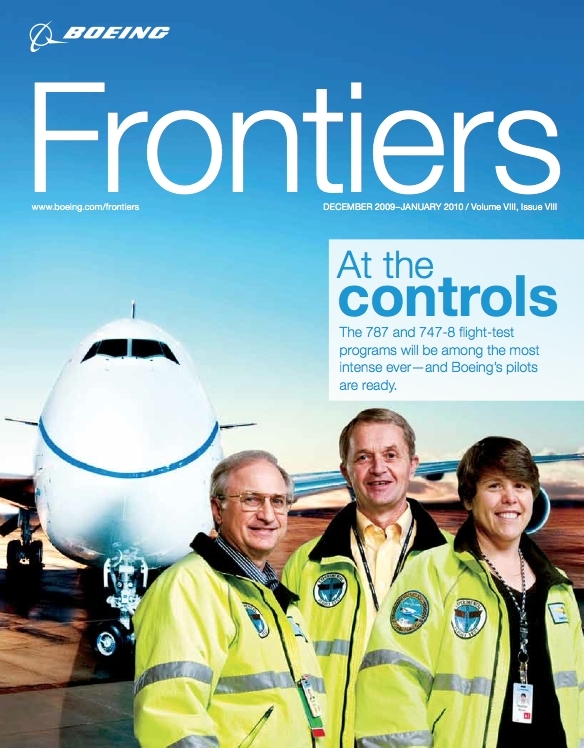 Tom Imrich’69, SM ’71 graced the December cover of Boeing’s house magazine, Frontiers, as a copilot for a new aircraft, the 747-8 Freighter. Imrich, a senior test pilot, will begin flying the 747 in 2010 as part of a massive test flight operation also involving the 787 Dreamliner and, with the U.S. Navy, a new P-8A Poseidon maritime patrol and surveillance aircraft. Find out more in an alumni profile about Imrich’s career and how he got involved in the Aeronautics and Astronautics Department at MIT. Sunbeams inside St. Peter's Basilica, Vatican City (© Owen Franken). Curious about Owen Franken? See more of his work via the Franken Photo of the Week category, learn more in this profile, read a What Matters opinion column he wrote called “Life in Brownian Motion,” or visit his Web site. And, view his exhibition, A Photography Retrospective, through early January 2010 at the Gallery at Vivid Solutions, 2208 Martin Luther King Ave. SE, Washington, DC. As MIT students, the first thing they did was set up a website for the charity. At the time they laughed that this was a very nerdy way to start a charity. However, it very quickly began to pay off. While they recruited and raised funds among friends and family and even found a board member by posting in the Tech Review, it was through the web site that most people found NCEF. It didn’t take long before they started getting contacted by people across the U.S. and the world wanting to get involved.